Imagine. You’ve found it – the most beautiful prom dress you could have ever dreamed of. It flatters your complexion and body type, it’s comfortable and high-quality, and you have the perfect pair of shoes to go with it. Exciting, right? But your date shows up to your doorstep in a garish suit and tie that clashes horribly! You look terrible side-by-side in photos and no one would ever guess you two are dates. Truly a nightmare. 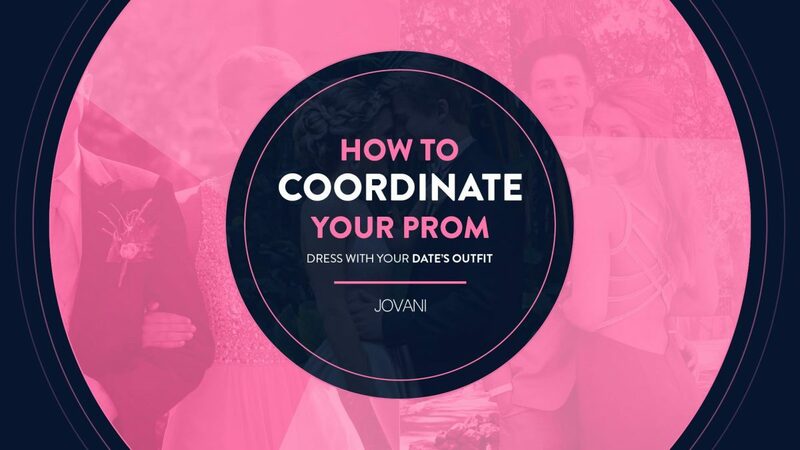 To help prevent all future prom attendees from any fashion disasters like that, Jovani has put together this guide to help you figure out how to match your prom dress with your date’s outfit so the both of you can look stunning together on the big night. By considering these three simple aspects, you and your date can absolutely turn heads. Color is a deceptively complex topic, but to make it a little easier, it’s best to divide colors according to temperature – warm, cold, or neutral. Warm colors are reds, pinks, oranges, earthy browns and beiges, and yellows. Cool colors are blues, purples, greens, teals, and indigos. White, black, and gray are neutral and can be paired with colors of any temperature. In general, warm colors will always match best with other warm colors, as will cool with cool – but this isn’t a hard and fast rule. Choosing one or two colors of the same temperature to base your outfits on makes things easier, especially when you use a neutral color like white or black dress as a canvas. If you already have a particular color in mind, then it’s pretty simple to find outfits that match from there, either by finding something that matches exactly or otherwise complements. Whatever colors you choose, they should be used in both your dress and your date’s outfit. If your dress is a pearly pink, then his tie could match. If your dress is green and yellow, then your date could wear a yellow vest and pocket square – as long as one color is present, you’ll match. If you don’t want to match colors, you could try to mix pastels or jewel tones. You could wear a dress of deep red velvet and your date could wear one of dark green velvet. Be creative! Oh, and try to get your colors as close in shade as possible, if you want to match them – there’s a big difference between light lavender and deep plum, even if they’re both purple. If your dress is sparkly or multi-colored, you may want to explore matching in ways other than color. The fabric of your dress is hugely important. Prom dresses can be made from any number of materials, including velvet, silk satin, polyester/rayon, chiffon, tulle, and beaded/sequined fabrics. Tuxedos and suits are equally diverse, being made of wool, tweed, velvet, and silk satin, all in a different array of weaves. If your date is wearing a tuxedo or suit, don’t feel limited to just selecting a fancy necktie to match your textured dress. Blazers, vests, and pants come in a huge array of textures, from crushed velvet to tweed. Tuxedo lapels are occasionally made of shiny satin, which goes nicely with satin dresses. If you and your date are both wearing dresses, then it’s simple to choose complimenting fabrics and textures, even if the styles or cuts are different. If you choose dresses that are the same style or material, you can also try to select colors that go well together, like black and white or peach and powder blue. If your dress has nice embroidery or sequins, your date can wear another dress with a similar pattern. All of these fabrics mentioned have very different textures and weights to them, and lots of dresses and suits will use multiple fabrics together. You don’t necessarily want outfits made out of identical fabrics, but it’s important to keep them in mind when coordinating. Just selecting textures that complement each other is enough. Sometimes elements of your dress can only be subtly incorporated into your date’s outfit, which is okay. Once you’ve decided on colors and fabrics, it’s time to choose accessories! Most people have a love or hate relationship with them. On the one hand, it’s fun because there’s so much opportunity for variety and uniqueness; on the other, the number of choices available to you may feel overwhelming. Thankfully, accessories need only be as complicated as you make them. There’s really no right or wrong to do it. The most common outfit pairing would be the first option, meaning your date wears a standard tux and a tie in the same color as your dress. This leaves you room to wear whatever jewelry or shoes you want because there’s no worry about harmonizing. The second option means you both go hard on the embellishments – perhaps matching scarves worn in different ways, shoes in the same color and style, or you two just wear exclusively neon orange accessories over black clothing. This path requires a little planning and making sure you’re both on the same page with what you’ll want to wear, but the end result can be unbelievably fun and unique, even if your base outfits are on the plain side. As for the third option? You’re certainly free to take a minimalist approach and forgo accessories entirely. If the fabrics and patterns of your clothes stand out enough or you’re both looking for a sleek, subdued look, this route is for you. But no matter what you choose, the color of the accessories you two wear should match as well, even if they’re metals like gold or silver. The same guidelines for color and fabric apply here just as they did for your base outfits. You may think it’s a faux pas to discuss things like corsages and coordinating beforehand, but there’s really no reason you can’t. Think about what you want to wear. Ask your date about their outfit preferences and what they want. From there, you can pick out styles, colors, and accessories together, or decide to come up with one outfit and design the second one around it. If your date is okay with leaving all the decisions to you, it’s still good to ask for input from time to time to make sure you choose something they’re comfortable with. And remember – there’s no need to stress about matching every single detail of each outfit. It’s not the end of the world if his shoes are brown and yours are black. 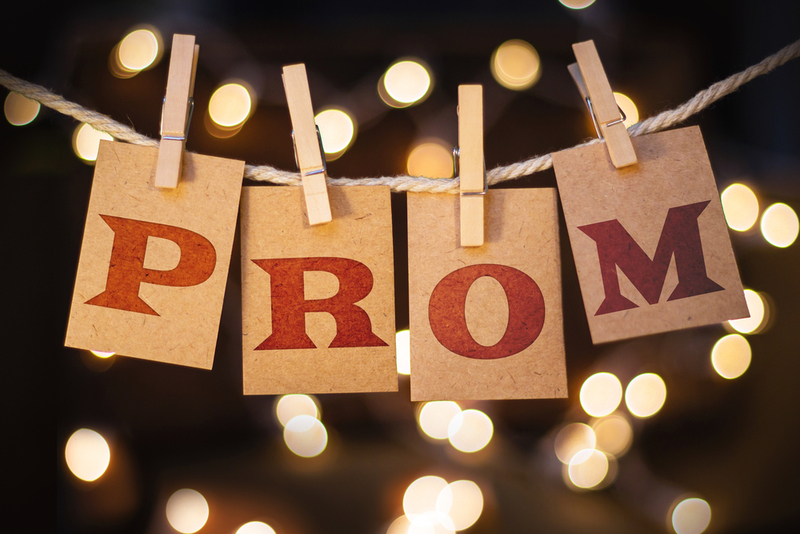 Prom is meant to be a fun, memorable experience for the both of you, so don’t forget to enjoy it!